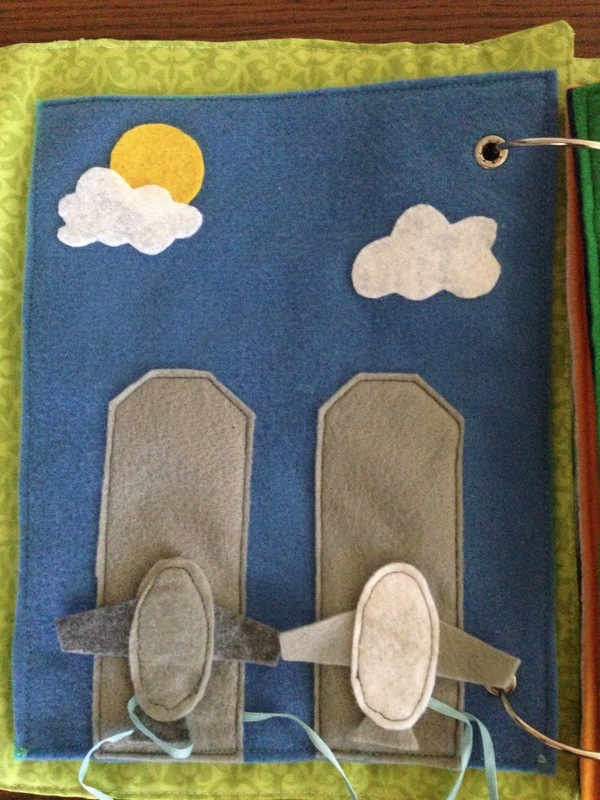 Quiet Book Tutorial: Any figure or object on felt for your quiet books!! -Find whatever image you want to make into felt for your books. -Buy some T-Shirt Transfers. I got mine on Amazon for a very reasonable price. Note: there are T-shirt transfers designed for light and dark clothes, so make sure you know the difference. I just bought the light colored ones and planned to put white felt behind almost everything. -Then reverse your image (some things won't matter but this is a MUST for text) because it will be backwards after you complete this process. -Get your sheet of white felt and iron away! I felt that this takes quite a bit of time. You don't want your iron up too hot to burn the felt but that hasn't happened to me yet even when I'm impatient and crank the heat up anyways. Just take your time and slowly move the iron across until it's good and hot...and then do it some more...and some more....and some more. You can try lifting the corner once you think it's done. Peel the whole paper off. -Then just cut out your shapes. Now you have perfectly cute people and objects to work into your designs! Here are a couple more pages I've made using this idea. I've also really loved added poems and lots more text on pages than I would have before- no time for cute embroidery in my life. I created the top poem with this technique. Compare the bottom text I tried to write with a sharpie. Boo! Lessons learned along the way I guess. 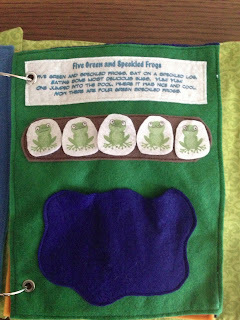 Here, I created the frogs as well as the printed song. These are the farm animals for my barn page. Well, happy crafting and Blessings to you! 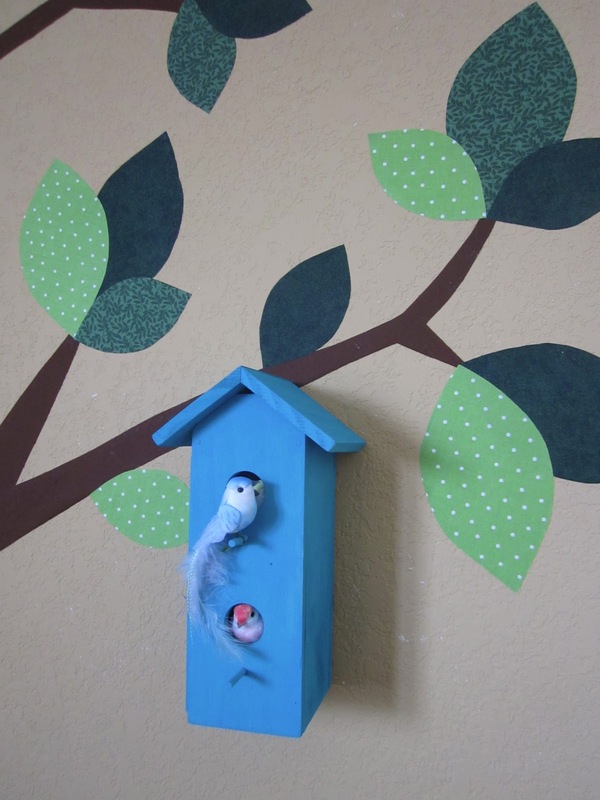 Here's another addition to our playroom transformation: the mailbox. Here's a nice picture. 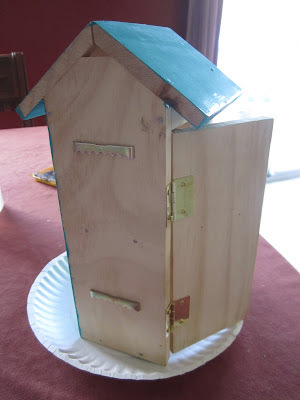 I had my wonderful husband use his jigsaw and cut a metal mailbox in half. Then he found a thick piece of wood, placed the cut mailbox onto it, traced it and cut it just a bit smaller so it would slip right in the metal mailbox. Pre drill the holes into the wood. 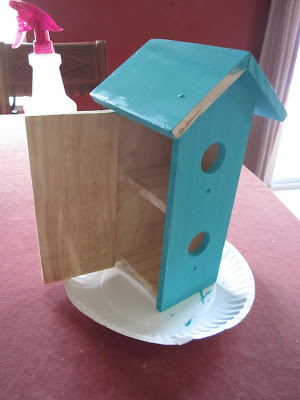 Paint the wood piece. I chose pink. I thought it would be fun to see a pop of pink when you open the mailbox. I painted black around the sides in case the mailbox doesn't lay exactly flush to the wall. Then, let your muscles do the work for you. :) He pre-drilled holes in the wall. Then he screwed the wood piece onto the wall. 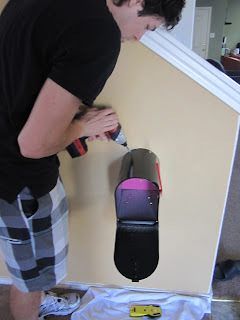 Next, he drilled screws all around the sides of the mailbox. Looks pretty great! Now, I just have to eventually add a pole for it to stand on and maybe even a flower bed underneath it. 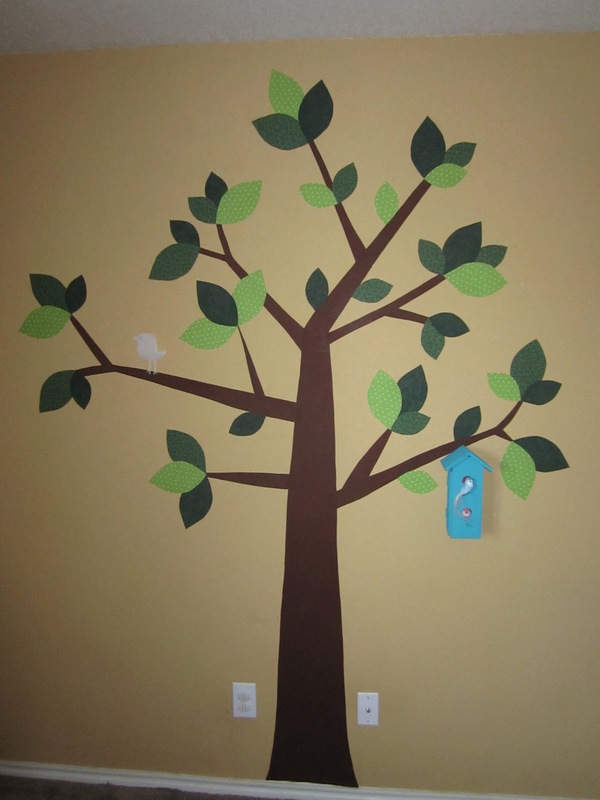 In a previous tutorial I made a tree decal in our playroom. Now, I'm going to show you that interactive birdhouse that I did. So...here goes! 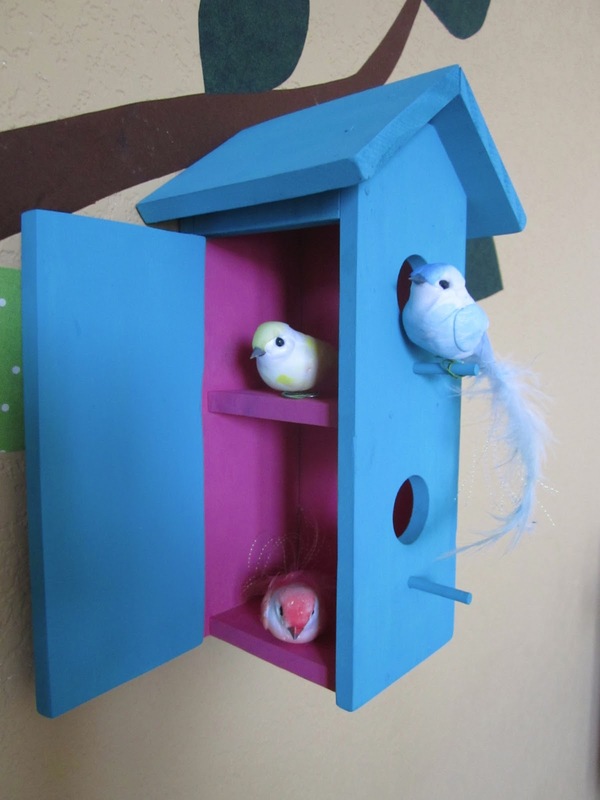 I found a clearance 2 story birdhouse. Put it together, but instead of nailing it completely together I had to cut one side and put on brackets on the side so it could open. 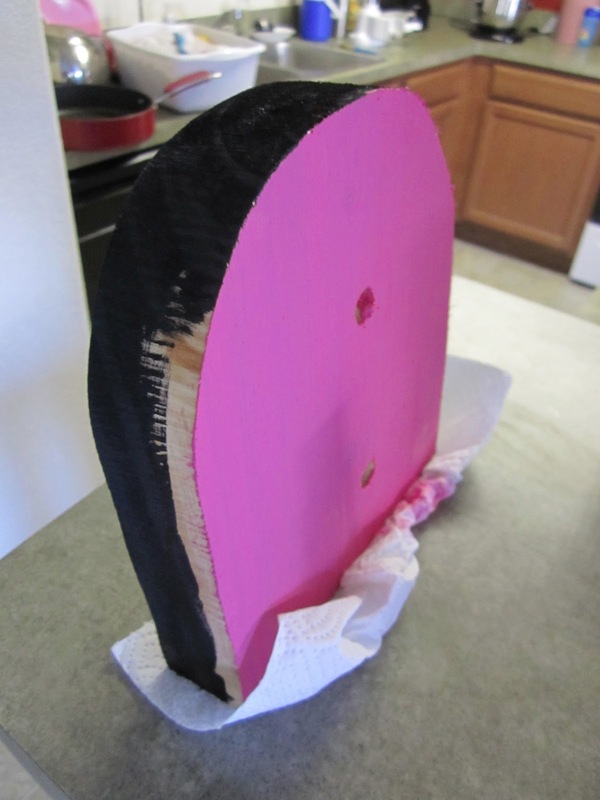 Painted it a bright turquoise with a pink inside and hammered in some picture frame holders in the back. 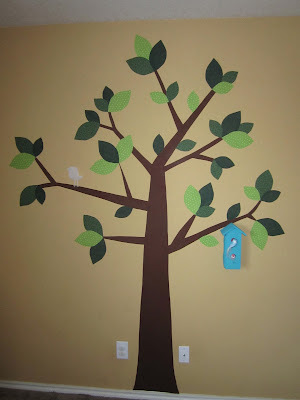 Then I hung it on the lowest branch on our tree so the kids can play with it. I found the foam birds in the garden/flower section of Hobby Lobby. I also found a little nest and soap egg I added later. So, now my girls pretend the birds lay eggs. Here's just a quick picture of our airport page. There aren't as many boy friendly pages out there but this is an easy one. It's also fun for a toddler quiet book as it doesn't require a lot of fine motor skills, like buttoning, zipping etc. There's not much to it and I didn't really take pictures along the way but you can figure out by looking at the picture. The trick is making the ribbons not too short or too long because you don't want them tangled easily but you also want them to be fun to 'fly'. Well, until next time I guess. 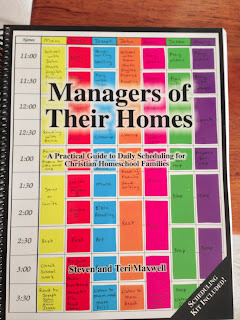 So, pretty much every conversation I've had lately with other mom's has been in whole or in part about this book: Managers of their homes: A practical guide to daily scheduling for Christian homeschool families . If you haven't heard about it I feel sorry that you are in the dark, but let me enlighten you. This is probably the best mommy sanity book EVER!! If you are like most moms and struggle trying to juggle your role as a mother, wife, daughter, sister, maid, employee (for those who work), volunteer and teacher (for us homeschooling moms)...it can be a very daunting! There are days I want to pull my hair out and then days that I feel so blessed beyond all reason. The ups and downs up mommy hood, right? No, it shouldn't have to be that way! I use to think that I was the only one. I'd look at other mom's with more kids than my two and wonder how on earth they could have so many and still look so put together. I only have two and I'm lucky to get a shower most days. Ugh! How could they look so put together when they have 5 kids, or even more?! When I started digging down and talking with other mom's I realized that we are all really good at painting a rosy picture of our family. When is your house the cleanest? When people come over, right? 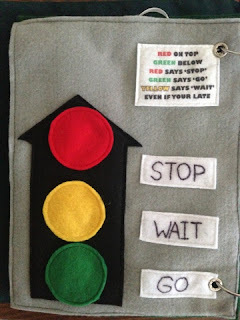 When are your kids in their finest clothes? When your headed to church, right? Why is it that we have this innate fear of looking like a failure around other people and moms (especially the ones that have so many more kids than I). Why do we hide? Why does it have to be a secret that we're not perfect? I mean, nobody is, right?! In talking to other mom's I also realized that we all have this incredible fear of being a failure as a mom. We put so much pressure on ourselves to juggle everything that we lose our sanity in the process. Yes, me, the organize queen, the teacher, the hard worker who always had it all together thought I would have no problem popping out 7 kids....yes I, was at my wits end with just two children! How could this be?! Well, for a while I just basked in the knowledge of knowing I'm not the only mom who's going insane. And then I started wondering what the solution was. What can I change, because something has to! Enter: 'Managers of Their Homes' by Steven and Teri Maxwell. This book has been a lifesaver to me. It came at the perfect time (that would be rock bottom). I really needed someone with lots of children to tell me how they do it, so I, with only my two could do it too! 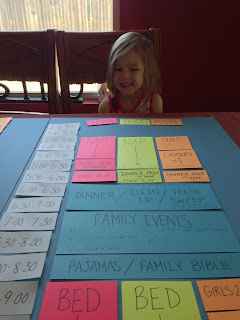 They go into everything in their book about scheduling their days: homeschooling, chores, naps, babies, priorities, menu planning....almost anything you could think of. I love how they also quote The Word in their book too. It is the manual for living, right? So, I did my priority worksheets and slowly started building my schedule. 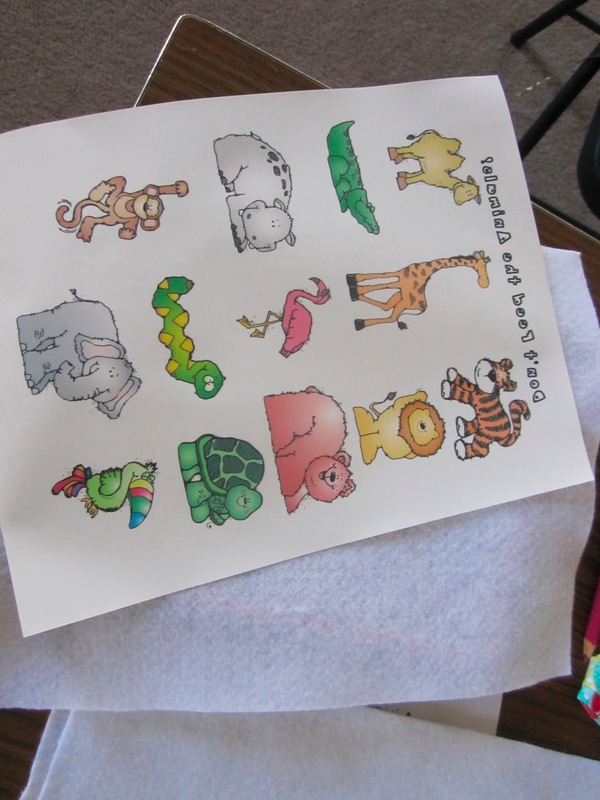 Although she includes worksheet for schedules I wanted something bigger so I got some unused foam boards out of my craft closet and got to work making a big one. I started at the building blocks of our schedule with things such as, breakfast, lunch, nap, dinner and bedtime. More of my notes and ramblings as I was going through this process. Each person gets their own color. The schedule is based on half our increments (she explains why in the book). Although I find right now hour blocks seem to work better for us, at least for some things. My little helper along the way. This whole time with her was talking about our new schedule and getting her excited for things like chore time and helping mommy cook, etc. She was ready to start now! 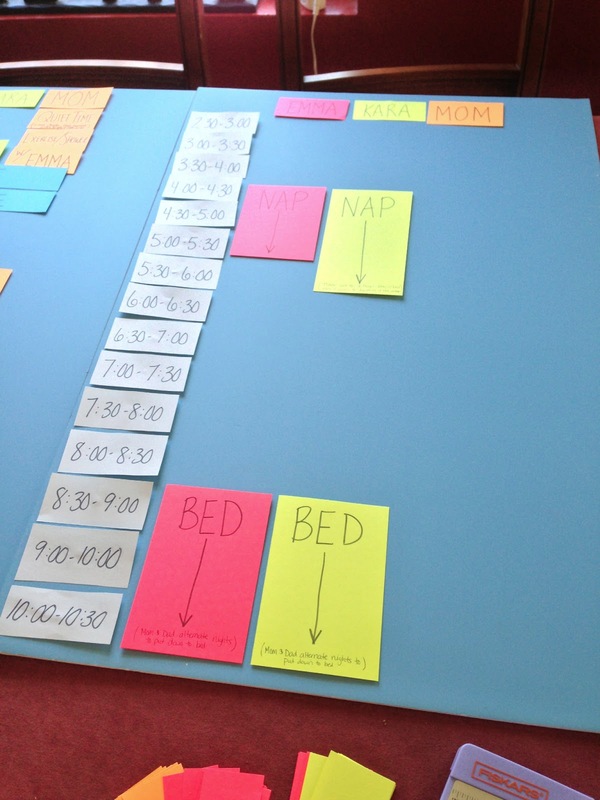 While this is just the start of my total thoughts on this schedule I couldn't resist posting about it so that any other mom's struggling could find it for themselves. I have told ALL of my friends about this book already because we all seemed to be struggling, some more than other. But we were all struggling in our own ways. I was blessed by my mother in law with this hand me down version but for all of you who aren't so lucky you can check out Managers of their homes: A practical guide to daily scheduling for Christian homeschool families at Amazon for $30 I believe...and to be honest if I had known how much hope and joy this book would bring to my life I would have paid almost anything. It's that good!! More posts to come soon on how our schedule is coming! I just cut out fabric the shape I wanted and did a really tight zig zag stitch around the whole thing. 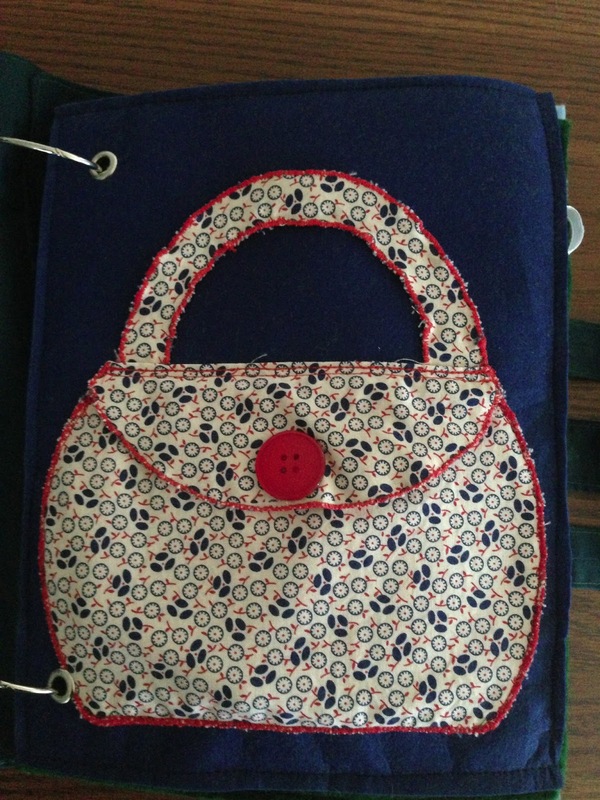 First I did the back piece of the purse, next the top piece and then finally I stitched on the top the opening piece. 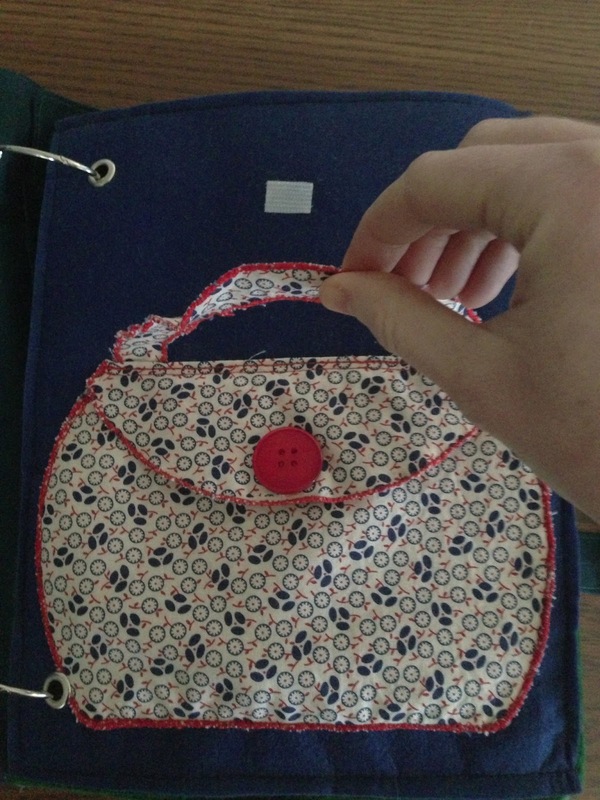 Don't forget to put the handle underneath before you sew on everything else. I left it up and just put some velcro so she could pretend she was holding it. It's pretty flimsy being only fabric but she still likes it. 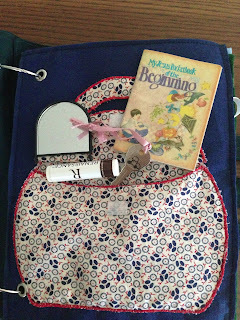 Then stuff it with goodies that every girl needs in her purse: chapstick, a key (one side has a picture of a house, the other side a car), a mirror and a bible book.